Islamabad – Solo art exhibition titled “Flight of Imagination” by a brilliant artist Samreen Asif opened here at the newly-built art gallery of COMSATS Institute of Information Technology (CIIT) in Islamabad on Tuesday. Samreen’s elegant miniature artworks explain her journey as she explored the ways that could lead to knowledge, pursuit and preservation of traditional miniature art. “After ceaseless struggle, I thought to create novel style of my own, portraying various art schools such as Kangra, Pahari and Persia” she said while talking to Pakistan Observer. 21 art pieces of Samreen have been put on display at the exhibition which will continue till 17 June. 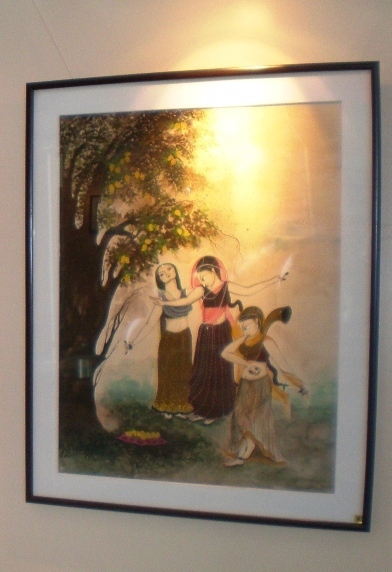 Women with white swan, trees and lotus pools are the common subjects in most of her artworks. “My subject matter presents my grandeur of thought depicting women with eternal hope of freedom and liberty replete with dramatic colours” Samreen explained. 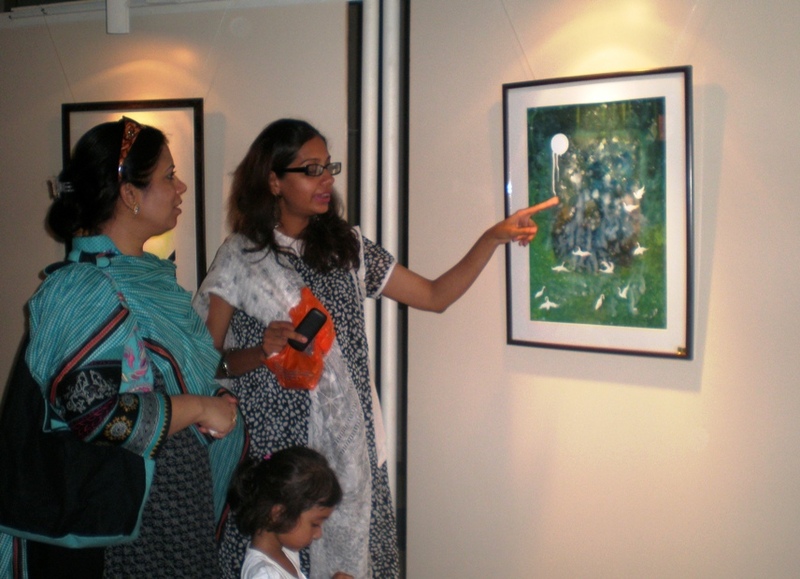 The exhibition was inaugurated by Fauzia Minallah, renowned artist and writer. Fauzia greatly appreciated Samreen’s artwork and found it “really beautiful”. But what pleased her more was the opening of a new art gallery in Islamabad as “our country is blessed with talented artists but unfortunately there are few art spaces in the country” she said. Farrah Adnan, an artist and also a professor at CIIT enlightened that “it was Rector S. M. Junaid Zaidi’s idea that we should open a new art gallery at the Islamabad campus to provide a platform to the young budding artists and later I worked in collaboration with him.” Farrah is also the curator of the gallery for this exhibition. 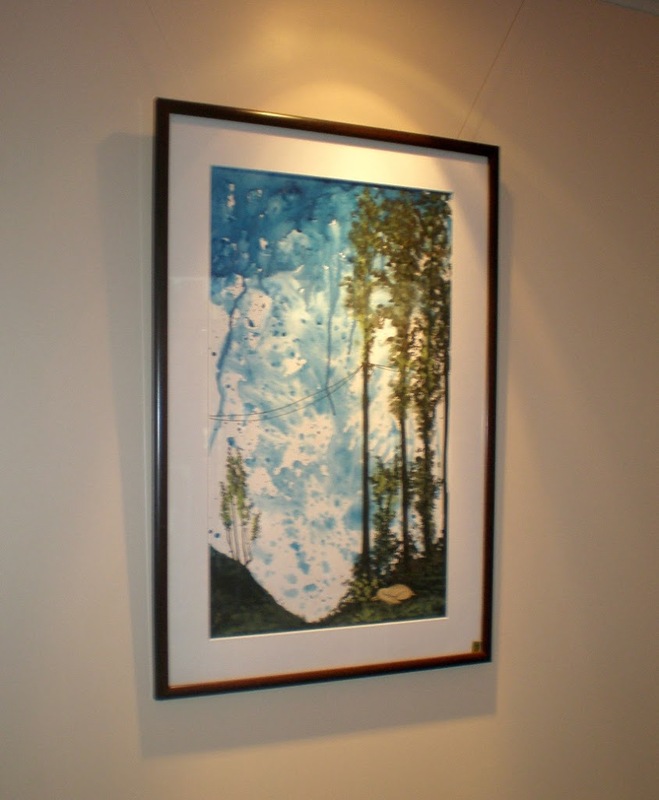 Samreen has made use of opaque watercolor and herbal colours as the medium of artwork. She feels that she has somewhat succeeded in portraying the overflow feelings of love and romance through ideal and spiritual love of women and nature – which is actually a need of women in order to strengthen and empower her.